Florianopolis is the capital and the second largest city of Santa Catarina State, in southern Brazil. The city counts more than 40 beaches and a good number of sport facilities offering great alternatives to any kind of sportsman. 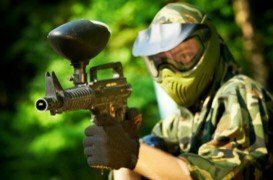 Campeche is a beach, located in the south of the city where paintball can be also practiced.